Robo-advisors rely on algorithms to manage investment portfolios and are significantly more cost-effective than most human advisors. By managing portfolios as effectively as traditional advisors but at lower cost, robo-advisors have soared in popularity. But which robo-advisor is best for you? 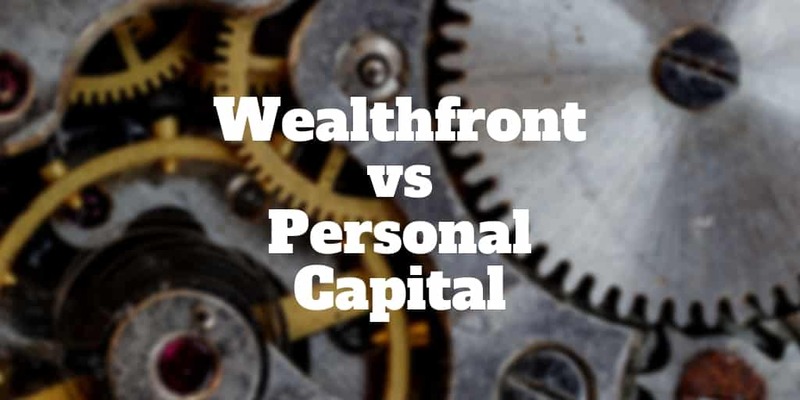 We compare Personal Capital vs Wealthfront in this review on key factors, like fees, investment minimums, tax strategy, investment methods, human advice, tools, and even mobile apps. Which Robo-Advisor Is Best For You: Wealthfront or Personal Capital? Are Robo-Advisors Better Than Human Advisors? Personal Capital is a hybrid robo-advisor that combines a robo-advisor algorithm with human oversight. As the “white-glove” robo-advisor in the industry, it gives preference to high-balance portfolios. Accounts with balances of over $200,000 come with access to two dedicated human advisors as well as the digital robo-advisor. Clients with balances below this mark have access to the robo-advisor and a team of human advisors. Wealthfront offers a robo-advisor service only and appeals to those who prefer a hands-off approach to investing. Risk Parity which aims to increase risk-adjusted returns via enhanced asset allocation strategies. Smart Beta which is designed to increase returns by weighting securities in the U.S. stock index more intelligently. Tax-Loss harvesting which monitors client portfolios daily to lower tax bills without compromising portfolio balance. Personal Capital has a lower fee structure than most human financial advisors. But compared to robo-advisor rivals, its fees are on the high end. Clients with assets under $200,000 will pay 0.89% for services. Considering that industry leaders like Betterment charge 0.25%, the Personal Capital management fee is high for the industry. Personal Capital justifies these high fees as part of the overall service that they provide, including the many free financial tools that customers can access. Wealthfront has very low fees in comparison to Personal Capital. The robo-advisor-only service charges 0.25% of the total assets managed. Pro Tip: The company runs promotions from time to time that allow for portions of the assets to be managed at a further discounted price or for free for limited periods of time. Wealthfront allows for a much smaller opening balance to use its services. It can be used with accounts starting as low as $500. Investormint Verdict: Wealthfront has lower fees than Personal Capital. Personal Capital segments clients into two buckets. Investors with portfolios valued at over $200,000 receive customized investing strategies via Smart Indexing, which aims to reduce overall risk while maximizing returns. Clients with balances under the $200,000 mark have assets invested in exchange-traded funds (ETFs). Wealthfront requires all investors to complete an 11-question intake form regarding risk preferences for their investments. Based on their answers, Wealthfront will then invest client portfolios in up to eleven different asset classes to achieve desired returns. Wealthfront portfolios are invested in ETFs covering all sectors of industry, as well as government, municipal and corporate bonds. In taxable accounts, Wealthfront will not include real estate investments with a view to decreasing client tax burdens. A typical portfolio will include about eight different asset classes to ensure a balanced portfolio. Both companies feature holdings that align with client values; a strategy Betterment labels socially responsible portfolios. These investments include industries that are environmentally friendly, those that produce or use sustainable goods, or industries that will align with their clients’ beliefs. Personal Capital has geared its service more toward high-dollar investors or those who have already been in the market for a while and are now seeking an advisor. The investment minimum is $100,000 to open an account. Pro Tip: Don’t hold your breath for Personal Capital promotions – only clients with over $1 million in assets enjoy fee discounts. Wealthfront opens its doors to investors who have as little as $500. Investors are encouraged to continue to contribute to build wealth. Investormint Verdict: Wealthfront wins with a much lower investment minimum. Wealthfront shines brightest compared to other top robo-advisors with its multifaceted tax strategy. All taxable accounts undergo daily tax harvesting. When balances rise to $100,000 and above, stock-level (versus fund level) tax-loss harvesting services are performed. And accounts of $500,000 or higher enjoy smart beta testing for the most effective tax savings. Personal Capital applies a tax-loss harvesting algorithm to all taxable accounts. With human oversight, client portfolios are also optimized across tax-advantaged retirement accounts and standard taxable accounts. Investormint Verdict: Wealthfront has one of the most advanced tax-optimization algorithms and wins this category. Investormint Verdict: Personal Capital wins the account selection battle, just marginally, by advising on 401(k)s which Wealthfront avoids. Between the two robo-advisor companies, Wealthfront is a better match for most investors. It’s more cost-effective, has lower investment minimums, and features and industry-leading tax strategy. However, higher net worth individuals with more complex financial situations who need human advice will fare better at Personal Capital. ✅ Investment Minimum: To open an account at Wealthfront requires just $500 compared to $100,000 at Personal Capital. ✅ Complex Financial Situations: If your financial situation is complicated with lots of account types, Personal Capital will be a better fit. ✅ Tax Strategy: Wealthfront has long held the mantle of industry leader with its advanced tax optimization strategies. ✅ White-Glove Service: For investors who want more hand-holding, Personal Capital comes out on top. ✅ Hands-off Investors: Investors who don’t feel the need to connect with human advisors should stick with Wealthfront. ✅ Mobile App: Personal Capital not only offers an investment management service but also has a world class budgeting tool. How much money do you have to start investing with right now? How comfortable do you feel working with a digital advisor instead of a human? Do you feel that you need to interact with a human advisor to make your final investment decisions? What type of investment accounts do you wish to invest in at this time? Answering these questions will help guide you to the right type of investment advisor. For example, if you have over $100,000 to invest right now and you like the human interaction of working with an advisor, you will benefit from using the services offered by Personal Capital. On the other hand, if you are just eager to begin investing and only have $500 to start, Wealthfront is the obvious choice. This service allows you to start small and has very low fees, and lots of personal finance tools as well as education to help you make the right investment choices. Both programs offer superior tax strategies for their clients, and both handle the most common types of investments that individuals make. Wealthfront also offers 529 college savings plans, a great choice for parents who are worried about paying for college. The best way to select your investment advisor is to be honest about your needs and your future plans. Once you have established your goals, you can select a service that will help you reach those goals effectively. Compared to human advisors, Personal Capital enjoys the advantage of using both computer algorithms and human advisors to provide investors. The extra safeguard of human oversight may comfort investors who are hesitant to rely purely on a digital solution. The accuracy and benefits of using one type of advisor over another boils down to personal choice. Some people prefer the interaction of a human advisor and feel more comfortable acting on their advice than advice given by an algorithm. For hands-off investors, the convenience of a digital advisor fits in with their busy lifestyles and that the accuracy of the decisions made by these algorithms stays within their personal goals for wealth accumulation. If you prefer human interaction as well as digital algorithms to help manage your wealth, Personal Capital will be the right option for managing your assets. If you feel comfortable allowing only algorithms to help you make your investment selections, Wealthfront is the logical choice.